You are at:Home»Herbs»Centipeda minima Linn. Latin name : Centipeda minima Linn. Description : It is anodyne, antitussive, depurative, diuretic and stimulates blood circulation. When inhaled it induces sneezing and so it is used to relieve nasal congestion, especially during coughs and colds, in ozena, and in headaches. 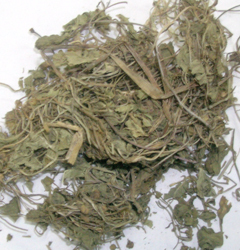 It is also useful in paralysis, joint pain and sexual debility. Recommended Dosage : 1 to 3 g powder of whole plant.